Hello and happy Friday! Do you have plans for the weekend? I'm working tomorrow, but Sunday is planned to be a creative day! Yay! 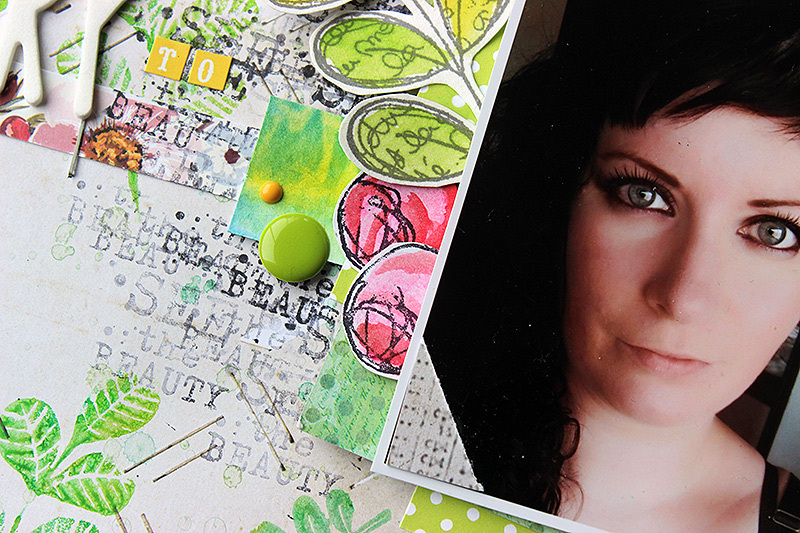 This page is created for Carabelle Studio as their guest designer. Here's a link to the original post in the company blog (link). 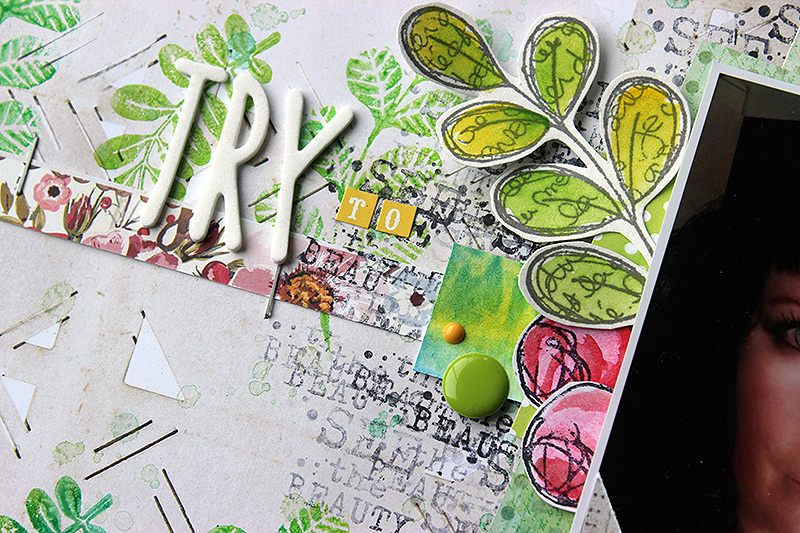 This page got its inspiration from the text in the “Believe in Magic by Zorrotte” set. I used the text in the background of my photo and also made it a part of my title. 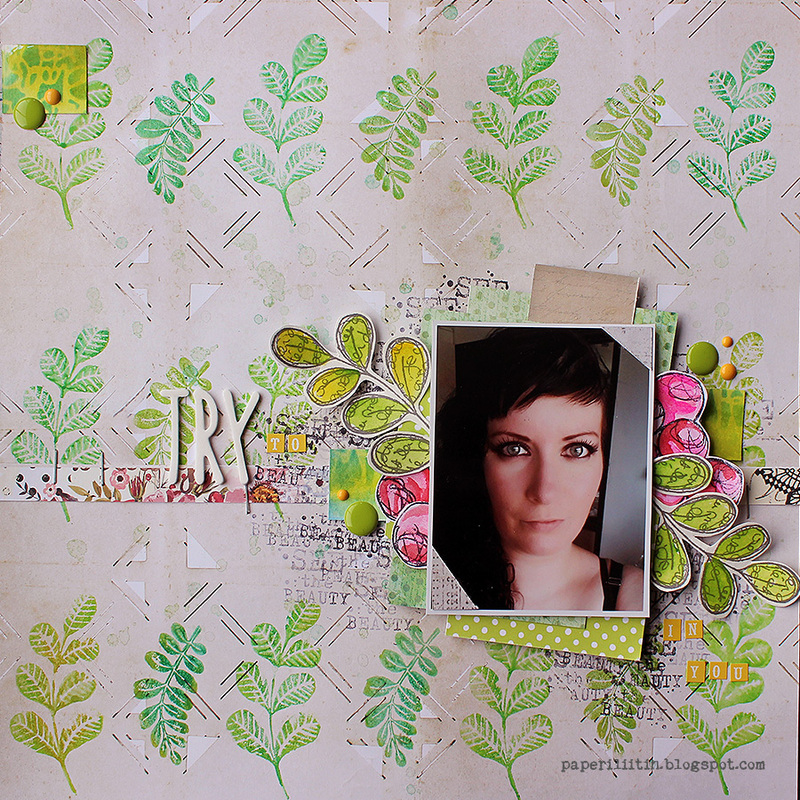 I also used the leaf stamps from the “Dans l’univers de la feuille by Zorrotte” in my background and stamped a couple as embellishments also. The leaves in the background are stamped with water soluble crayons first coloring the stamp, spraying some water to it and then pressing the stamp to the paper. 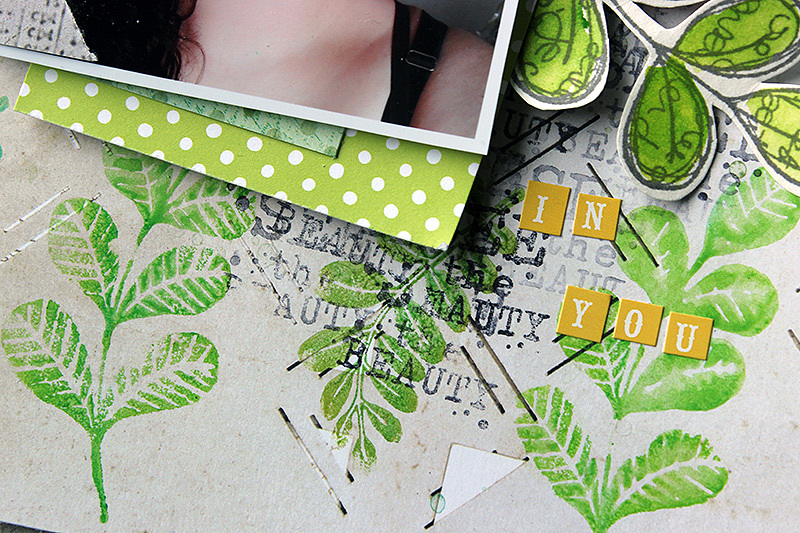 The embellishment leaves are stamped with Archival Ink and colored with watercolors. The roses behind the photo are done with similar technique using the rose stamps from the “There are always flowers by Birgit Koopsen” set. I also used a couple strips of the patterned paper I did for the ATCs (link) in the page. Thank you for your visit today! Wishing you a pleasant start to the weekend! Love your page Riikka, I going to be creative and have a class with one of my favorite teachers.....drumroll Birgit Koopsen tomorrow.